At 23 seats each, could Labor and Likud be forced into a last-minute coalition scramble? 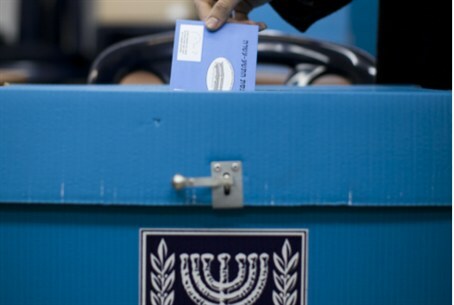 The battle between Labor and Likud is expected to be tight, according to a poll published in Globes on Thursday night - and, unlike other recent polls, the Shas party may still make the Knesset threshold. According to the survey, Tzipi Livni and Yitzhak Herzog's Hatnua-Labor pact and Likud are both projected to win 23 seats in the Knesset - predicting a race to assemble a coalition post-elections. Meanwhile, Jewish Home ranks third with 16 seats; Yisrael Beytenu and Moshe Kahlon's Kulanu would tie for fourth with nine seats; and Yesh Atid and Shas would tie for fifth with eight seats each. The Arab parties - United Arab List, Hadash, and Balad - would garner 11 seats if they were to combine; United Torah Judaism (UTJ) would gain seven seats; and Meretz would round out the list with just six seats. As has been the case with the recent polls, Otzma Yehudit was not included in the survey. This is a significant increase for Aryeh Deri's Shas party, which was projected in recent polls to barely make the Knesset threshold with 4 seats after MK Eli Yishai formed his Yachad party. Thursday's poll projects that Yachad will fall far short of the threshold with just 2 seats, a large fall from polls just days earlier. A poll earlier this week showed Shas's electorate power was split in half since Yishai introduced Yachad, with a poll giving Shas and Yachad 4 apiece. That split has also been reflected in a Knesset Channel survey published Tuesday.